There's more than one good reason to look up this week. From late Wednesday, June 27 through Friday morning, the full moon is going to look slightly different than it normally does. That’s when the Strawberry Moon will appear in the night sky, with different “peak” viewing times depending on where you are located. It’s a celestial event you’re not gonna want to miss. For one, the Strawberry Moon is the most colorful of the year. It is also particularly special because it will arrive during Saturn at opposition, which means Saturn will be at its closest and brightest ever for this year. But the Strawberry Moon is not the only celestial event taking place around the end of June through July. Though the full Strawberry Moon will be at its peak on Thursday, June 28, 2018 at 12:53 a.m. Eastern, other things are happening in the sky around the same time that are more than worth looking up for. Saturn will be at opposition on June 27. That night, it will be at its brightest point of the year. Opposition, in simple terms, describes the point at which the Earth sits exactly between the planet and the sun. Anyone who looks up should be able to see Saturn pretty easily during this celestial event because it will rise opposite of the setting sun. The planet will be visible throughout the night, but the best view should be possible just after midnight. Because Saturn will be so close to Earth during its opposition, you should also be able to see Saturn’s rings, which is a pretty amazing sight. BBC reports that because of the full moon, Saturn and its rings should be illuminated. And if you’ve got binoculars, you might be able to see its brightest moon, Titan, as well. According to Accuweather, you’ll actually need a telescope to see the rings, and a larger one might make it so you can see Saturn’s largest moons. 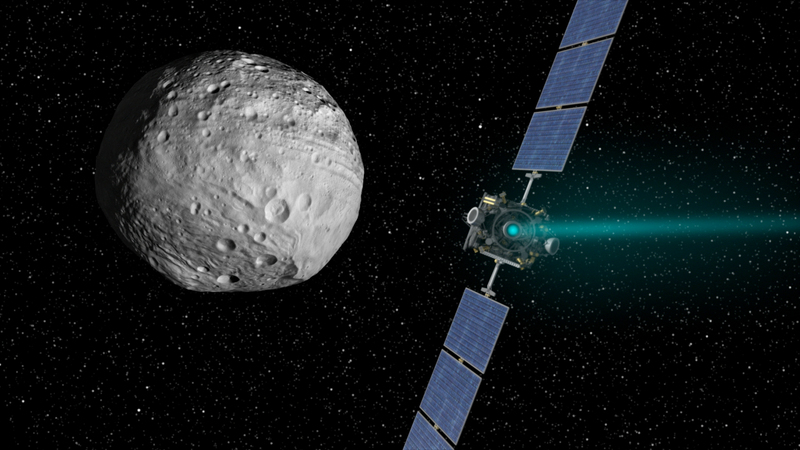 NASA’s Jet Propulsion Laboratory (JPL) told Accuweather that near Saturn, the asteroid Vesta will be so bright that it can be seen with the naked eye. It should be visible for several months, but why not take a look while you’re looking up tonight? After dusk on Wednesday, June 27, dwarf planet Ceres will be just 9 arc-minutes above the bright double star Algieba in Leo. Using a telescope at medium-high magnification, the minor planet and the pair of distant stars should be visible together in the same field of view. The Strawberry Moon is also known as the Mead Moon, Rose Moon, or Thunder Moon. It has also been known as the Honey Moon and the Full Rose Moon. The Old Farmer’s Almanac reports that it got its poetic, “fruitful” name for a very good reason, as the Algonquin tribes apparently saw the moon as a signal to start gathering ripening wild strawberries. In July, the full moon — which will also be a “blood moon” — is called the Buck Moon. That’s admittedly not quite as pretty-sounding as the Strawberry Moon, but it should still be very impressive. That will be followed by the Sturgeon Moon in late August, which supposedly gets its name because sturgeon are more easily caught in August through early September. Although the Strawberry Moon will only be most visible alongside Saturn tonight through Friday morning, Saturn will actually be visible in the night sky until December, and particularly good viewing is possible through September, Thrillist reports. But if you want to catch the Strawberry Moon and Saturn together, break out your lawn chairs and look up tonight.